The most attractive investment migration programmes are from Malta and Portugal. Malta ranked top for the citizenship-by-investment programme, where people can acquire a second passport in exchange for a minimum investment, while Portugal was top for residence-by-investment, which allows individuals to acquire permanent residency by investing a minimum amount in the host country. The programmes were evaluated by immigration and citizenship lawyers, economists, country risk experts, academic researchers, and other specialists — who took into account a broad range of factors. For the third consecutive year, Malta’s Individual Investor Programme (MIIP) is the top-ranking citizenship-by-investment programme in the world, with a score of 81 out of 100. The Mediterranean island-nation is followed by Cyprus in second place (with a score of 72) and Austria in third (with a score of 63). Antigua and Barbuda ranked fourth, followed very closely by Grenada. The lowest-ranked citizenship programme is Dominica, with a score of 51. The eight citizenship programmes included in the report were evaluated according to 10 indicators: reputation, quality of life, visa-free access, processing time and quality of processing, compliance, financial requirements, residence requirements, relocation flexibility, physical visit requirements, and transparency. Each indicator had an equal weighting of 10, producing a total score out of 100 for each country. 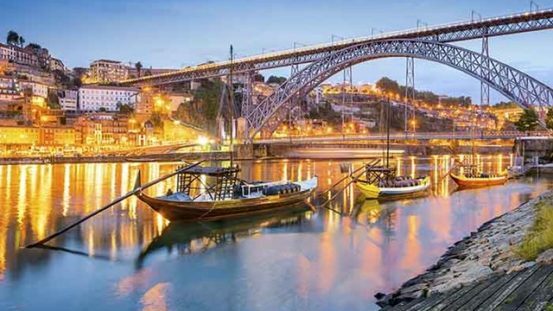 Portugal’s Golden Residence Permit Programme has emerged as the world’s best residence-by-investment programme for the third year in a row, with a score of 79 out of 100. Portugal is very closely followed by Austria in second place (with a score of 78) and Belgium in third (with a score of 77). In the last and 20th place, and with a score of 36, is Bulgaria’s residence programme. The 20 residence programmes surveyed in the report were assessed according to 10 indicators, some of which are very similar to those used in the citizenship index: reputation, quality of life, taxation, visa-free access, processing time and quality of processing, compliance, financial requirements, total costs, time to citizenship, and citizenship requirements.